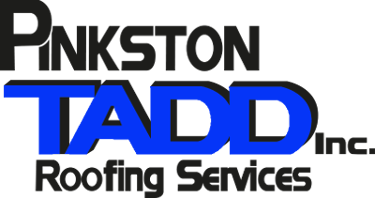 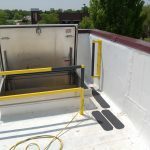 Safety is always the #1 priority for our roofers. 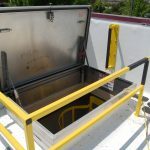 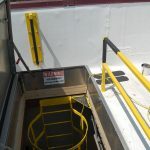 Evidence can be found through the use of harnesses, safety around the roof hatch, safety yellow applied to the rails and ladder cage, the 'Warning' sign glued to the inside of the hatch, and so on. 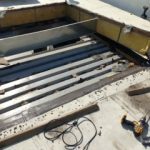 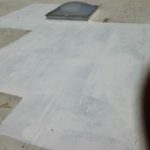 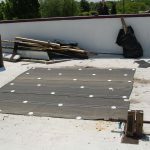 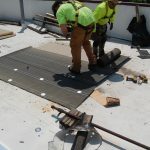 Should You Replace or Re-Cover a Damaged or Aged Commercial Roof?